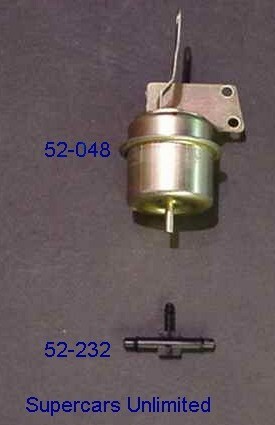 Exact reproduction of the original flapper door actuating vacuum "motor". Authentic in all details down to the correct yellow cadmium plating. Fits all 1970-1972 W-25, W-30, W-31, Rallye 350 and 72 Hurst Olds. T-fitting for vacuum motor to vacuum source.